HomeEntertainmentKatie Cassidy Engaged to Matthew Rodgers; Planning to get Married Soon? Katie Cassidy Engaged to Matthew Rodgers; Planning to get Married Soon? Relationships get stronger when both are willing to understand mistakes and forgive each other. The above quote matches completely with the relation of Katie Cassidy and her present partner, Matthew Rodgers. The duo has now learned to understand each other and forgive their mistakes. Are you all curious to know all the personal details of the famous actress, Kattie Cassidy? Then keep scrolling! After a long time of dating finally, the American actress has planned to marry Matthew Rodger. She is now ready to walk down on the aisle with him. Recently in 2017, the renowned actress, Kattie is seen posting a picture with her boyfriend on her Instagram account. There she captioned the picture saying she will love to spend her whole life with her now turned fiance Matthew. I can't wait to spend forever with you my darling!! I'm the luckiest girl in the whole world. I ❤️ YOU to the moon and back @mattyice432 Thank you for a magical evening I will forever remember. Further, Katie also said she is one of the luckiest girls all over the world. The duo was once on a romantic vacation on the East African island. There he proposed his longtime girlfriend for the marriage and without any delay, Katie accepted the proposal replying Yes she would marry him. Although the couple has managed to keep their personal life secret their fans and paparazzi have followed them in order to know each and every detail regarding them. According to the sources, the exact date and time of the beginning of their relationship are yet not known but it was publicized when they were caught by the media for the very first time in 2016. During the time in 2016, they were living together in Miami. Their first meeting is still a matter of curiosity for their fans and followers. As of now, the couple seems to be happy together and they are quite open about their relationship as well. 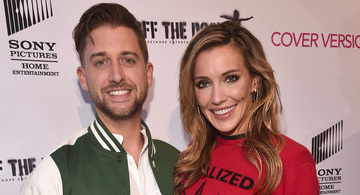 Are Katie Cassidy and Matthew Rodgers planning for Marriage? Well as the couple has been engaged already they might be planning for marriage as well. But till date, there is no news regarding their marriage. The reason might be the plan that couple is making for their wedding. Either the couple is planning a grand wedding or the couple wants to celebrate the big day privately. Anything can be the reason. So, keep visiting us to know the news about their married life soon. Last Updated on March 30th, 2019The 40-year-old, Lauren Sivan is an American actress and Journalist from the United States of America who is famous for her work as a reporter at Good Morning LA and Fox 11 news. The lady (Read more)…. 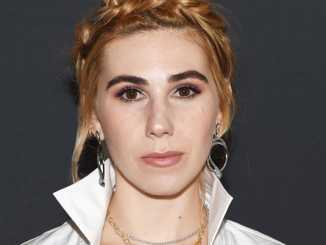 Last Updated on March 8th, 2019Sasha Czack is an American photographer and film director, widely recognized for her appearance in movies like Love of Life, Vic, and Long Lost Love. Though she has her own identity, Sasha Czack is more (Read more)…. Last Updated on March 18th, 2019 Fact of Dakota Johnson: Full Name Dakota Mayi Johnson Date of birth 4th Oct 1989 Boyfriend Matthew Hitt Birthplace Austin, Texas, United States. The active year 1999- present year Profession Actress, Model Recognized as TV and (Read more)….